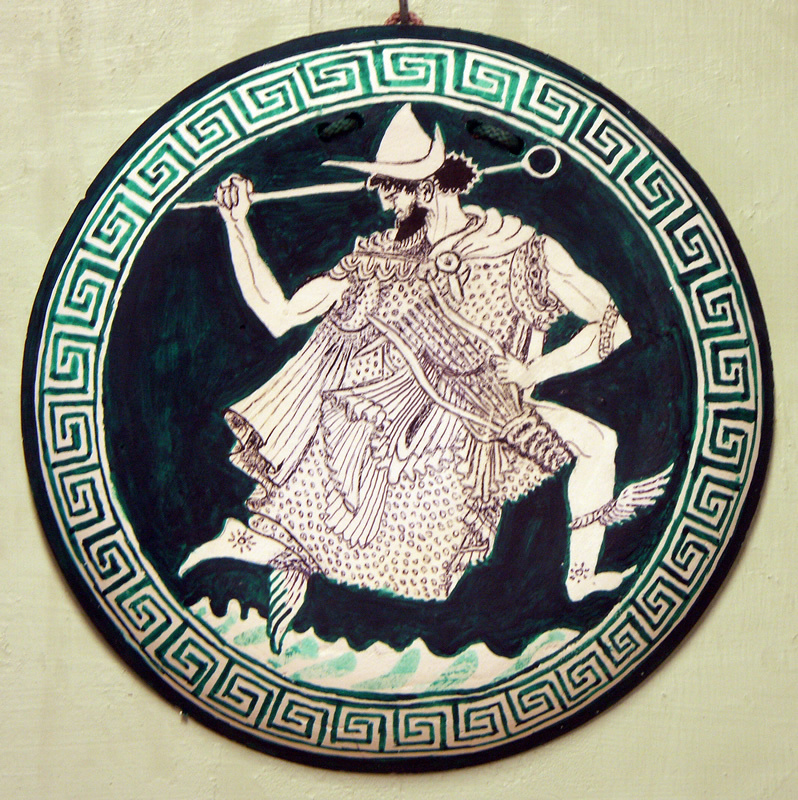 Hermes speeding across the waves holding a lyre, the instrument he invented and gave to Apollo in exchange for a golden whip, symbol of his role as protector of herds. This exchange of the two gods sealed their friendship. British Museum. Copy by Diana Webber, 2015. Published August 10, 2016 at 798 × 800 in Ancient Greece. Trackbacks are closed, but you can post a comment.